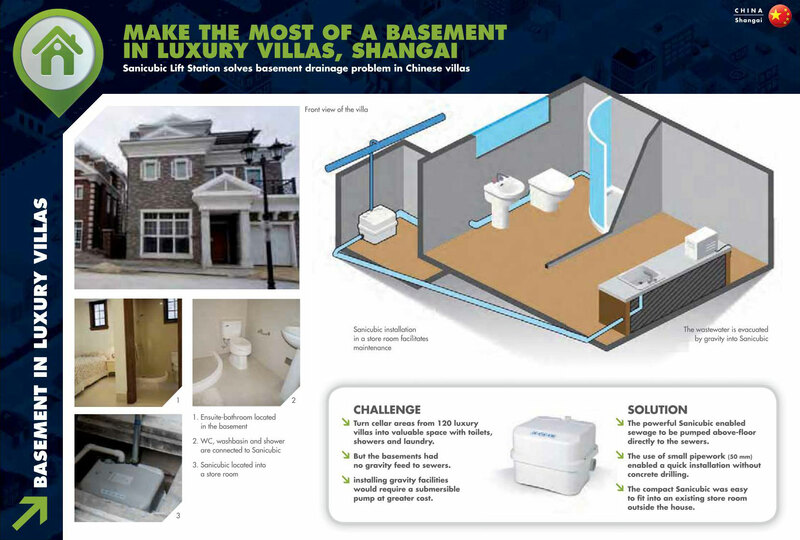 Turn cellar areas from 120 luxury villas into valuable space with toilets, showers and laundry. 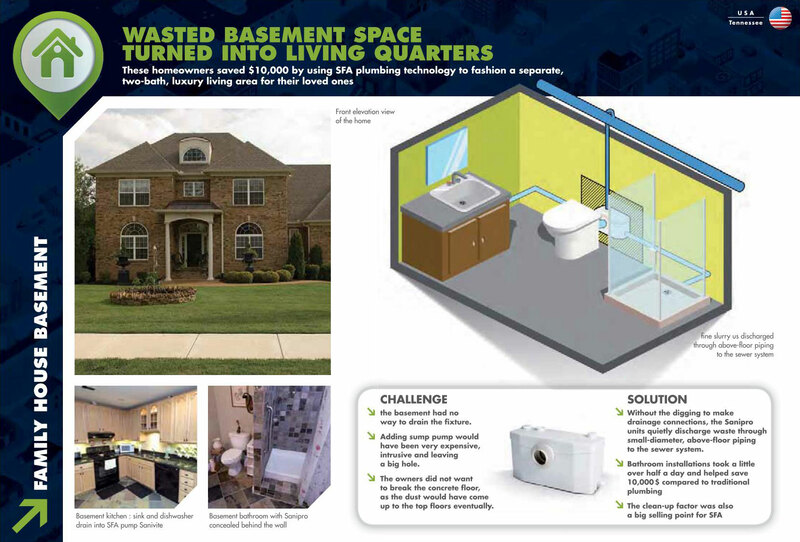 But the basements had no gravity feed to sewers. installing gravity facilities would require a submersible pump at greater cost. The basement had no way to drain the fi xture. Adding sump pump would have been very expensive, intrusive and leaving a big hole. The owners did not want to break the concrete fl oor, as the dust would have come up to the top fl oors eventually. 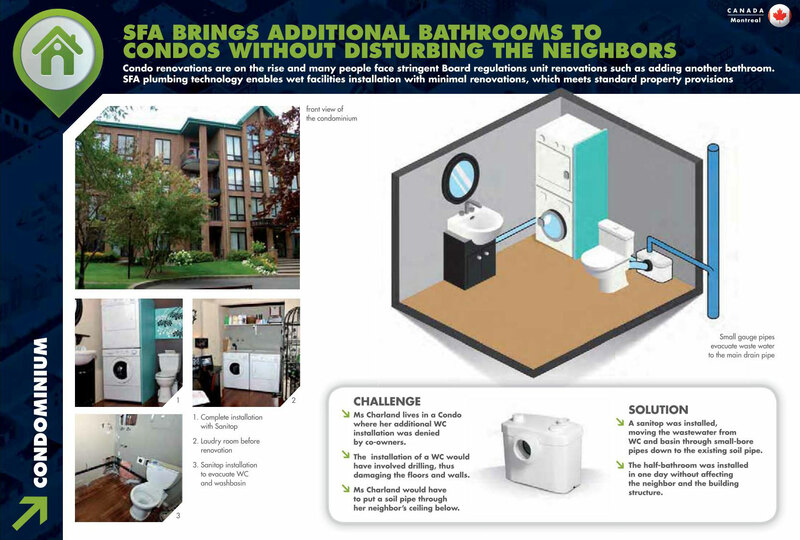 Ms Charland lives in a Condo where her additional WC installation was denied by co-owners. The installation of a WC would have involved drilling, thus damaging the fl oors and walls. Ms Charland would have to put a soil pipe through her neighbor’s ceiling below.